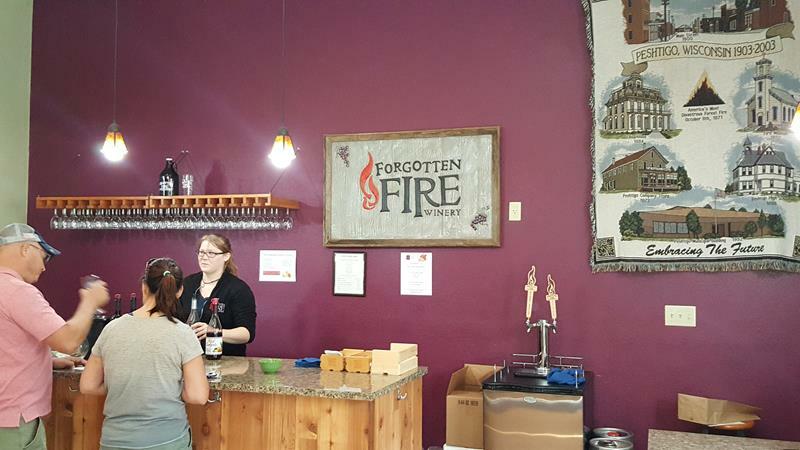 Forgotten Fire Winery & Brewery is named for the infamous Peshtigo Fire, which wiped out the area on October 8, 1871. Although it was the deadliest fire in American history, the Great Chicago Fire happened the same day and achieved more notoriety. Forgotten Fire’s Winery uses grapes grown partially on the Michigan side of the lake and partially in this area. 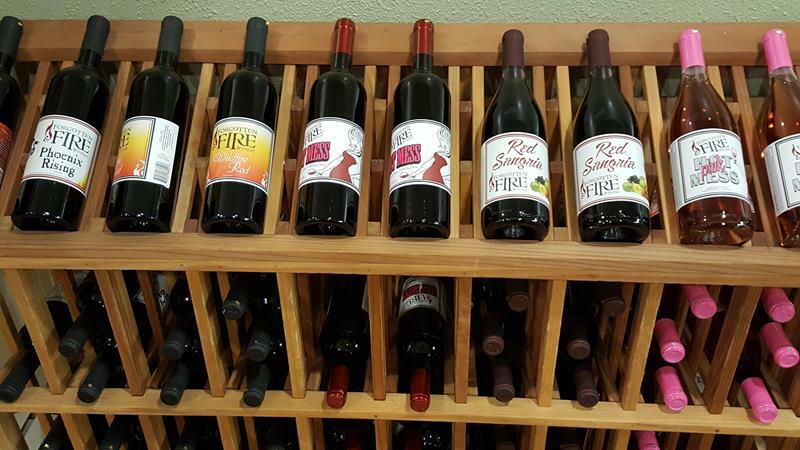 They offer over 25 wines today, from red and white to fruit wines and hard ciders. While owners Lindsay and Joe Callow first started working on the winery in 2011, today’s Tasting Room opened in 2013 and is open year ’round, seven days a week. Samples of their wines, beers from the brewery, ciders, and more are available for tasting, and if you ask nice, they’ll sell you whole bottles. 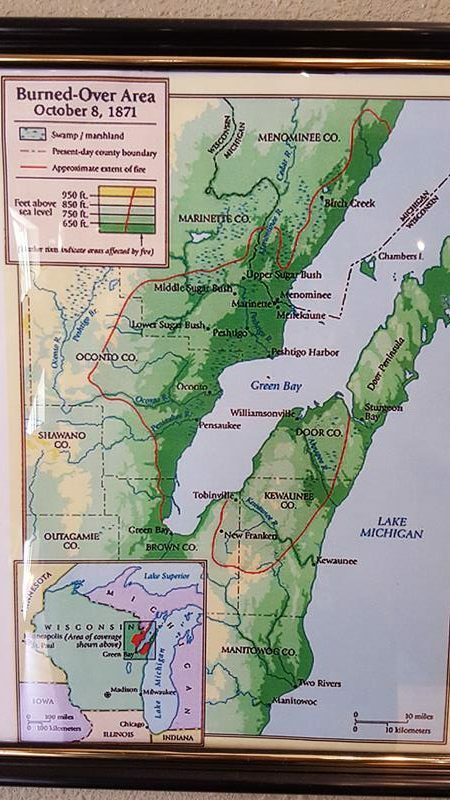 Learn about the actual Peshtigo (or here, “Forgotten”) Fire with items like this cool map, which shows the extent of the burned area from the U.P. to Door County. Peshtigo was essentially the inferno’s epicenter. Tours of the production area are available Saturdays at the top of each hour. 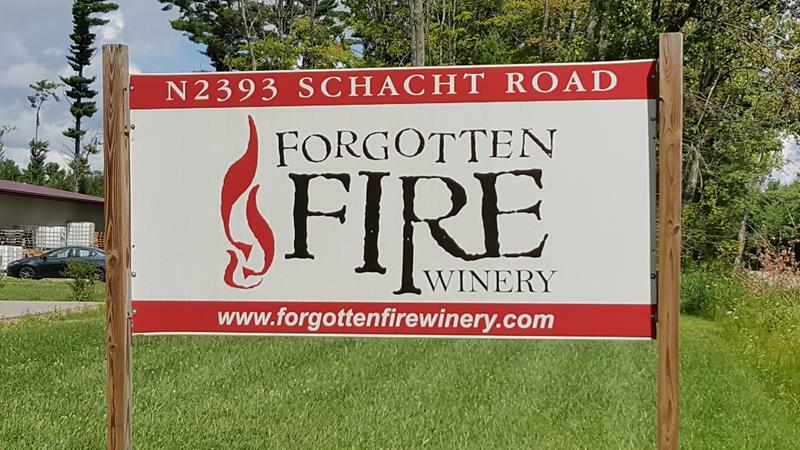 You’ll find Forgotten Fire’s Winery, Brewery, and Tasting Room just off the U.S. 41 Bypass via Exit 216, where you follow Business U.S. 41 and Old Peshtigo Road to Schacht Road. Although the mailing address says Marinette, the facility is just outside of Peshtigo. Highway 64 comes within five miles on its way between Pound and Marinette; Highway 22 is about eight miles south on its way into Oconto.